Let’s all face it: It is quite stressful to think about money. Taking control of your spending and saving money can also be a challenge. Whether you want to be a rich person or you simply want to stop spending your paycheck before you get it, there are some easy ways to tuck away even little cash. From taking care of your clothes to shopping smart, there are easy ways on how you can save more money. 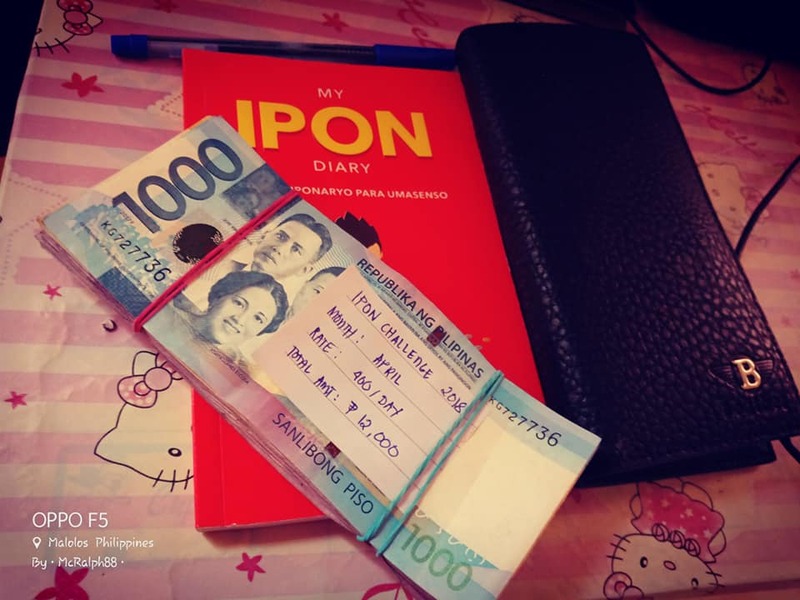 Because of people’s goals to have more savings, the Peso Sense Ipon Challenge became popular. From 52-Week Money Savings Challenge to not spending your P5 and P10 peso coins, there are many ways on how you can save more money for your future. If you don’t know where to start or you are fearing that you might not be able to keep your savings for a longer time, this method will surely help you. 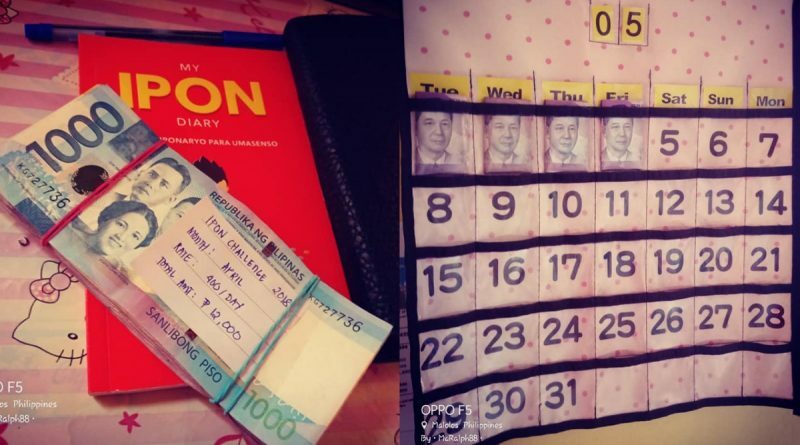 Facebook user Ralph Rommel shares his creative way on how he can save money for the month of May. According to the thrifty Pinoy, he’s super busy with all his rackets that he can’t make time to make a deposit. 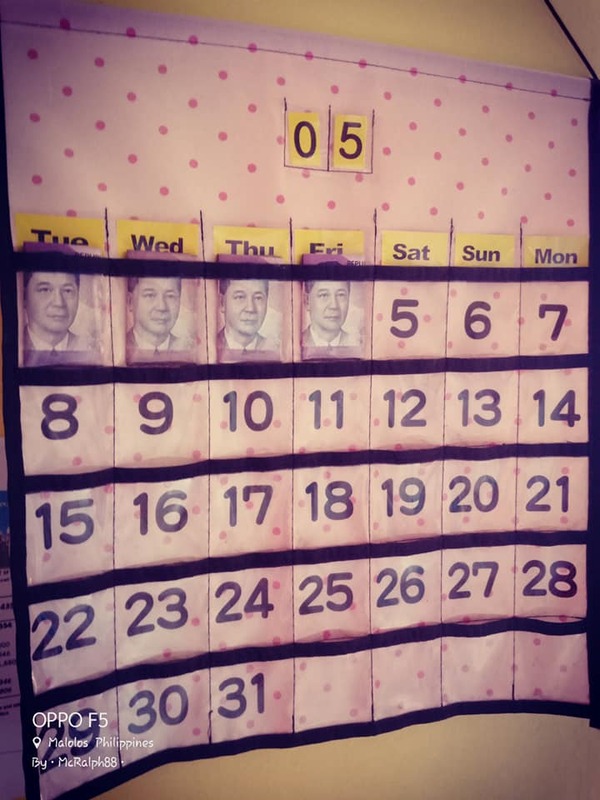 Instead of putting his money in a coin box or cash box, he used a plastic calendar to put all his savings for the month of May. Every day, he is putting P400 in each sleeve. By the end of the month, he is depositing the money in his bank. For the month of April alone, he was able to save P12,000! Can you imagine that? According to him, he was able to save more money by maximizing his time. Other than selling real estate properties, he also has singing and coaching gigs. Talk about dedication! He is urging everyone to save money like him. 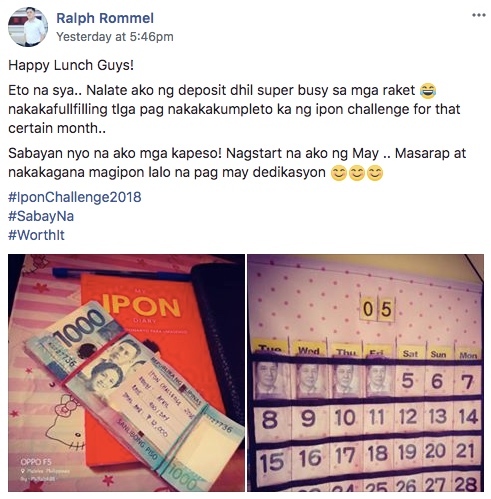 According to Ralph, he feels fulfillment every time he is completing his ipon challenge for the month. How about you? Did you start saving money for your future or retirement too? What do you think is the best way to help you in saving?